This versatile system induction hardens and tempers C.V. Joint components for front wheel drive vehicles. 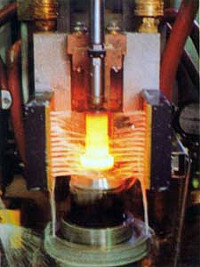 Ball tracks and stems of the tulip as well as the bell are hardened with the same basic system, which features a two-position shuttle for robotic interface loading. 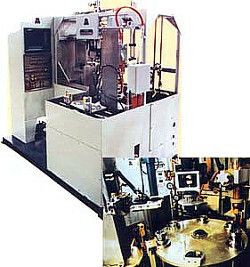 A pick and place load and unload device, plus a six-position turntable features a part orientation system to make sure that each part is precisely loaded to avoid misalignment. 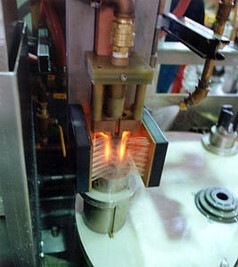 Also featured is an Eddy Current Testing System, which is an integral part of the cell. 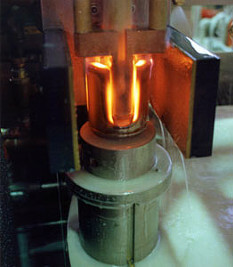 Stems of a C.V. joint are heat treated as part of a five station universal system. The entire system utilizes a quality monitor and has an operator interface with part storage for exact repeatability.